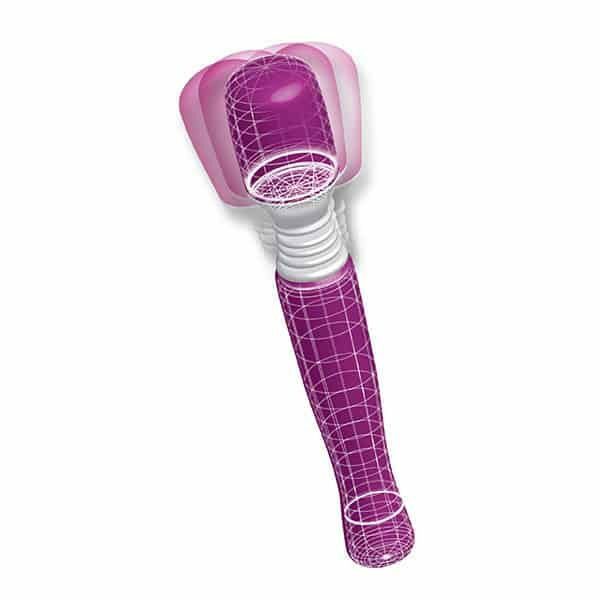 For relaxation in the water, the pretty purple Mini Wanachi cordless body massager is fully waterproof! Compared to other body massagers, the Mini Wanachi may be small in stature, but it certainly doesn’t disappoint when it comes to power! Enjoy a powerful rub down across any part of the body you choose with this sleek wand that fits in your drawer or travel bag with ease. The simple twist dial base lets you quickly select the massage pace that suits your needs. Petite battery powered massagers can be enjoyed by men and women to help ease those aches and pains, or simply for relaxation. Part of the Wanachi collection of massagers, this cordless body massager features a flexible head that bends and flexes to help you reach all those tricky spots!